Semi-automatic case sealer with manual adjustment and self centring lateral guides. Easy to use and simple to adjust it can be set up by the operator in just a few minutes. 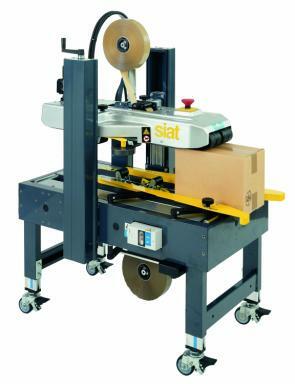 It allows for the perfect closure of the box by adhesive tape thanks to the double top and bottom driving system and the very reliable taping unit K11. Supplied with 12 months on site warranty.